About Us - Cars4Lease Leasing and Financing. Allow us to quote you on new car. Cars4Lease Group is a full service car leasing company that puts the power of buying a new car in the customer’s hands. Since opening our doors in 2007, we’ve made sure that our promise stays true: no pushy salespeople, no haggling, and a guarantee that to our dear customers that we will provide the lowest possible price with industry class service. Whether you are looking for a new Toyota or that sleek Mercedes-Benz, we can service all your needs, any make, any model, but definitely with a smile. Once you envision the perfect car, let one of our professional auto brokers assist you in having it delivered directly to your driveway. Cars4Lease is affiliated with hundreds of New Car Dealers nationwide. We analyze inventory and pricing daily to asses the best deals on all new vehicles. Don’t waste your time negotiating the best deal on your next car, let us do it for you. Cars4Lease will act on your behalf, to achieve the best savings on any car. We make new car purchasing easy. Cars4Lease can deliver your next car to you with unparalleled pricing and service, so let us get you a quote on any new car. With Cars4Lease, it’s personal, not business. Cars4Lease measures its success by client satisfaction and savings. Let us prove it by chatting with one of our trained staff. Cars4Lease Group’s core philosophy is simple: We strive to achieve the lowest price available on the new automobile of your choice.  Whether you’re looking to lease, finance or purchase a new car, with Cars4Lease it’s personal – not business. We, at Cars4Lease aim for personal and long term relationships with our clients, measuring our success through customer satisfaction and savings. "Why pay high dealer prices, when you can get your cars below wholesale. Cars4Lease Group was established with the customer in mind. No haggling, No pushy salesman, and best of all No worries. We guarantee our customer the lowest lease rates possible, with the service they deserve." 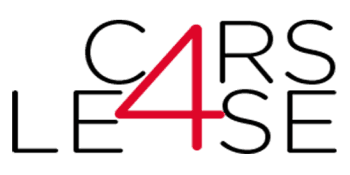 CARS4LEASE GROUP INC was originally established as an Automobile Leasing brokerage serving the Tri-State Area. Today, we fulfill the needs of buyers all over the world. With offices in many major cities across the U.S., our reputable company is here to serve all. Whether you are looking for a comfortable Toyota or an Ultra Luxury Bentley we can service all your needs, any Make, any Model. Once you have selected the car you desire, one of our educated personnel will be more than happy to assist you in obtaining it. We have the ability to acquire any car Nationwide, at a price that WILL NOT BE BEAT! From picking the color to Insuring your new vehicle, we at Cars4Lease serve all your Auto needs!